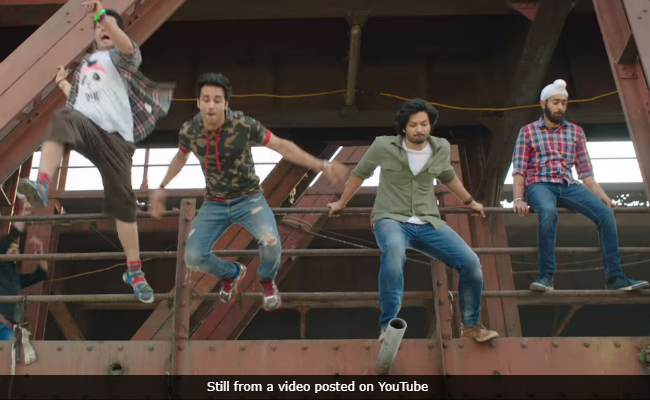 Fukrey Returns Movie Review: Hunny, Choocha And Gang Return - But Should They Have? 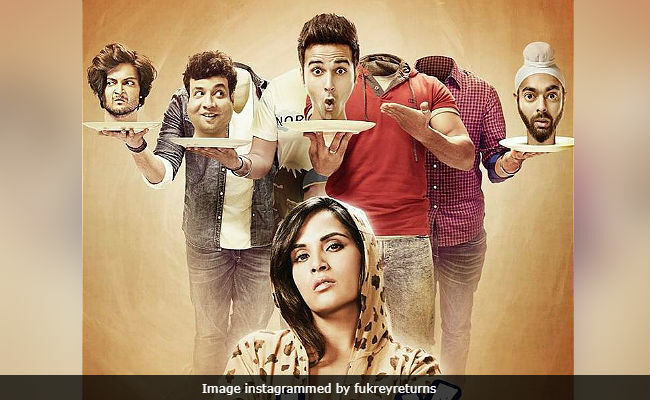 Fukrey Returns Movie Review: For a film that aspires to be a full-on laugh riot, Fukrey Returns is a bit of a trudge. Call it what you will - deja vu or deja choo - it is written all over every single frame of Fukrey Returns. The film is unable to shake off the effects of the law of diminishing returns. It's more of the same but with markedly less impact. The slacker comedy, like the boys that it is about, drifts aimlessly from one gag to another, with a caged tiger and its cuddly cub serving as the fulcrum. Add to that a King Cobra for good measure. Sadly, Fukrey Returns lacks the animal instinct to heave itself out of its trough. It does has some deliriously funny moments - most of them emanating from the chubby and guileless Choocha's actions and utterances - but its flaccid stretches are one too many and they rob the film of any realistic chance of pulling off a repeat act. Fukrey Returns starts off with a zingy opening-credits number that provides a brief recap of the story so far. Fair enough but not good enough. The film's frequent throwbacks to the past is bound to throw off those that haven't seen - or remember - Fukrey. The screenplay proceeds on the assumption that the audience, down to the last member, is familiar with all the characters and their back stories. That is likely to leave many gaps in comprehension for those that aren't fully acquainted with the world of Fukrey. In the film's bizarre first sequence, we watch Choocha and Hunny taking a dump in a forested area off the river Yamuna. Hunny begins to whistle in the woods. Don't, Choocha warns him, or a snake will slither our way. Lo and behold, the sibilant appears out of the undergrowth, bites Hunny on the bum, and assumes the form of Bholi Punjaban. Hunny is out of the way, and you now have me all for yourself, the snake-woman exults. Choocha is understandably thrilled to bits. But the joy is short-lived. His post-dawn reverie is rudely interrupted by a sandal hurled at him by his angry mother. 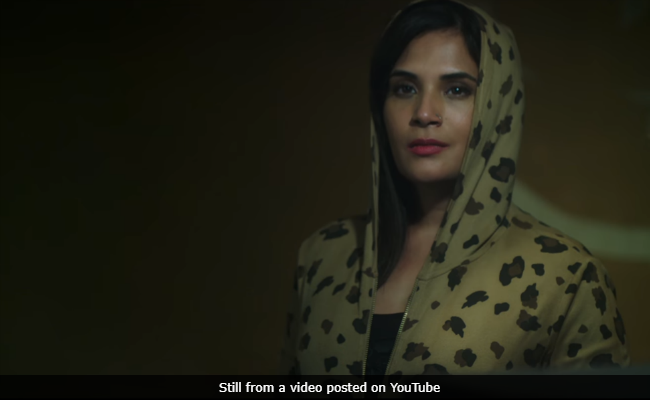 Between these weird dreams and risky misadventures, the Fukrey boys of east Delhi are pushed to the wall by the feisty Bholi Punjaban, the reigning queen of the Trans-Yamuna underworld. They are once again engaged in hatching get rich quick plans and flirting with danger, but nothing that they do can whip up the sense of edgy urgency of the past. They seem to be merely going through the motions as Fukrey Returns wends its way to a huge letdown of a climax. The novelty has worn off and the dreams of Choocha that yielded several lottery wins on the back of Hunny's freewheeling but spot-on interpretations no longer sound either convincing or intriguing. The attempts to squeeze humour out of the camaraderie of the boys amid the many setbacks that they suffer, therefore, fall rather flat. 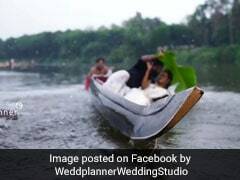 Hunny (Pulkit Samrat), Zafar (Ali Fazal) and Lali (Manjot Singh) are reduced to glorified hangers-on - and the girlfriends of the first two (Priya Anand's Priya and Vishakha Singh's Neetu) fare much worse - as Choocha (Varun Sharma) and Pandit (Pankaj Tripathi) have their stocks appreciably enhanced in this follow-up that struggles to find a narrative sweet spot. It never does. As a result, the Panditji's laconic wisecracks and Choocha's chatter do not add up to much beyond a few, stray chuckles. Fukrey Returns has a full-fledged baddie in the person of Delhi government minister Babulal Bhatia (Rajiv Gupta), who helps Bholi Punjaban cut short her prison term. The pound of flesh that he demands from her pushes her, her two African henchmen and a pair of pliable zoo employees Changu and Mangu into acts of indiscretion that spell trouble for the titular protagonists. The boys, presumed dead, are compelled to go into hiding, with hordes of angry Ponzi scheme investors baying for their blood. The wily, smooth-talking political scamster, who clandestinely runs a shady lottery business and has his sights set on the chief minister's chair, steps up to the plate and offers to bail out the boys in a soup, but once again for a price. But Panditji has other ideas. That sets off another chain of events that lead the gang into an underground tunnel and from thence to an abandoned rail yard. In the end, it is all much ado about nothing. Last time around, Choocha would dream up numbers that helped the Fukrey foursome get their guesses right. He now has a new 'God's gift' - he can see flashes of the future. Thanks to one of the premonitions that he has, the boys set out on a wild goose chase for a hidden treasure. On the acting front, the only ones who are allowed a proper run in the sun are Varun Sharma, Pankaj Tripathi and Rajiv Gupta. 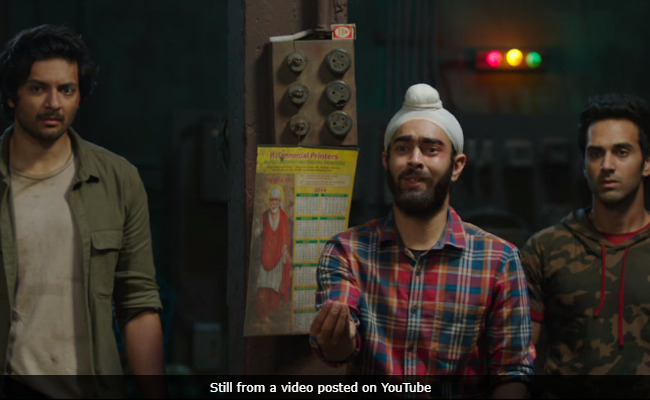 For Gupta, long typecast as a Haryanvi cop in Delhi-NCR thrillers and stuck in blink-and-miss cameos, Fukrey Returns is a rare extended outing. He makes the most of the opportunity to demonstrate his considerable acting chops. Sharma is a livewire who is a delight to watch and Tripathi, as always, is outstanding. Wish one could say the same about the rest of the cast - and the film as a whole. For a film that aspires to be a full-on laugh riot, Fukrey Returns is a bit of a trudge.